Teachers work to encourage creative thinking and individualize lessons to each learner. But it’s more difficult to do so in a cluttered, crowded classroom. 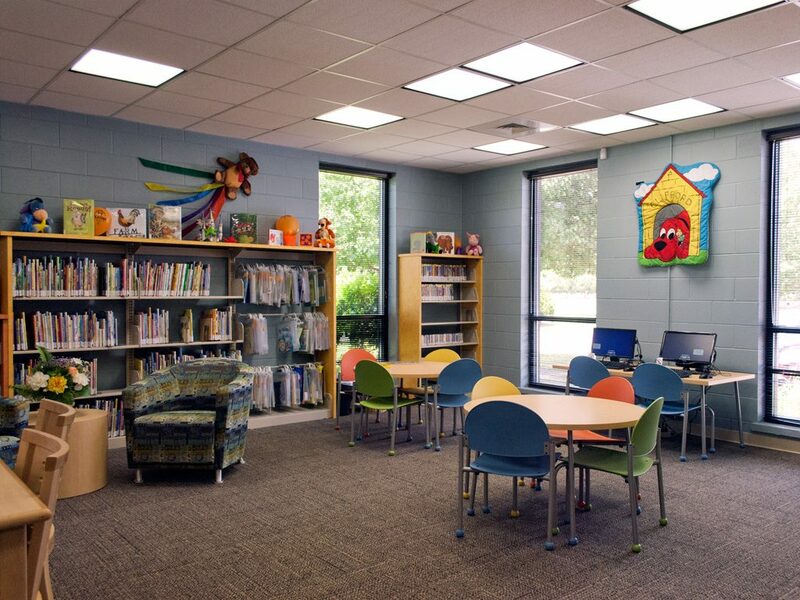 Creative school storage design can corral classroom storage to maximize student learning. The music room has is instruments, the art room its paints and pastels, the gym its balls and bats, the geography room its globes and textbooks and the math classroom its protractors and slide rules (wait, does anyone use those anymore?). 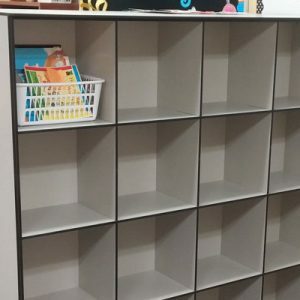 The point is, every single classroom in the school will have its own unique storage needs. Just as teachers need to facilitate individualized learning, school storage needs to account for many unique classroom needs. At the same time, the number of students in each classroom is growing in many schools. Despite research suggesting that capping class size at no more than 18 students produces better results for early grades, teachers often have 25-30 young pupils. Secondary school classrooms are even more cramped, with reports of as many as 40 students sitting row upon row. Providing teachers with the opportunity to organize their classrooms efficiently, moving them beyond plastic tubs and wobbly shelves is one way to improve how teachers view their work. Finding enough floor space for both students and storage can be challenging. However, just as teachers encourage their pupils to look at topics and ideas in a new light, the right school storage takes a fresh perspective on classroom space constraints. 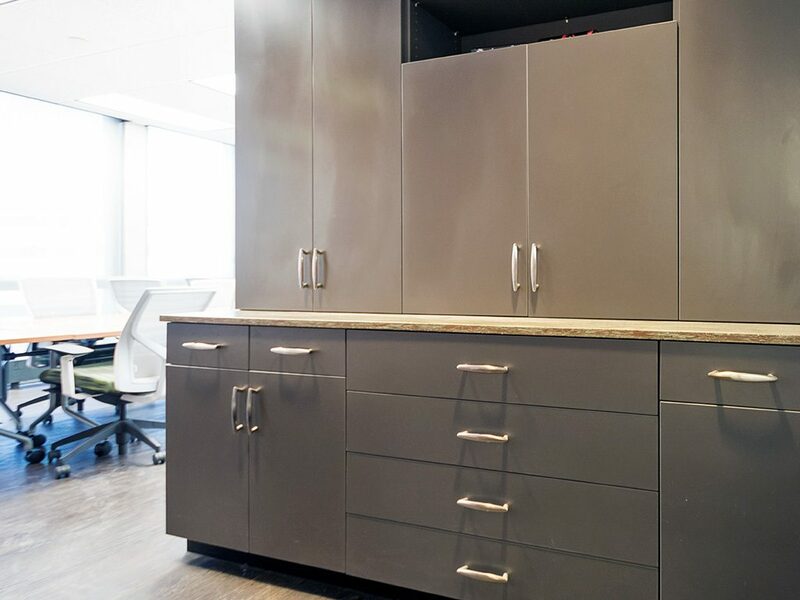 For instance, going vertical with quality shelving can take some of the pressure off. 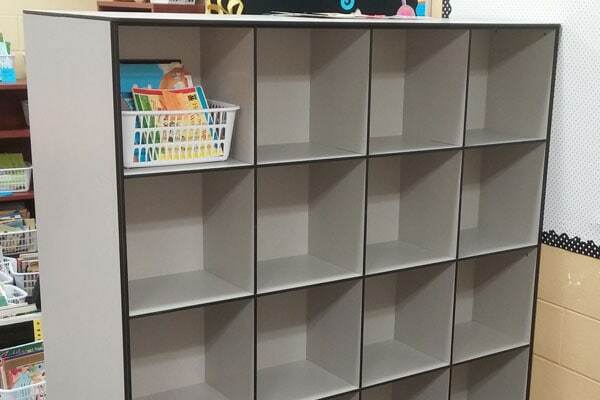 Cubbies are already common in classrooms for elementary students. But did you know there are many different types of cubbies to choose from for use in all manner of classroom settings? A cubby bench can be a great addition to classrooms for smaller students who will sit and read or listen to music or in art classrooms. 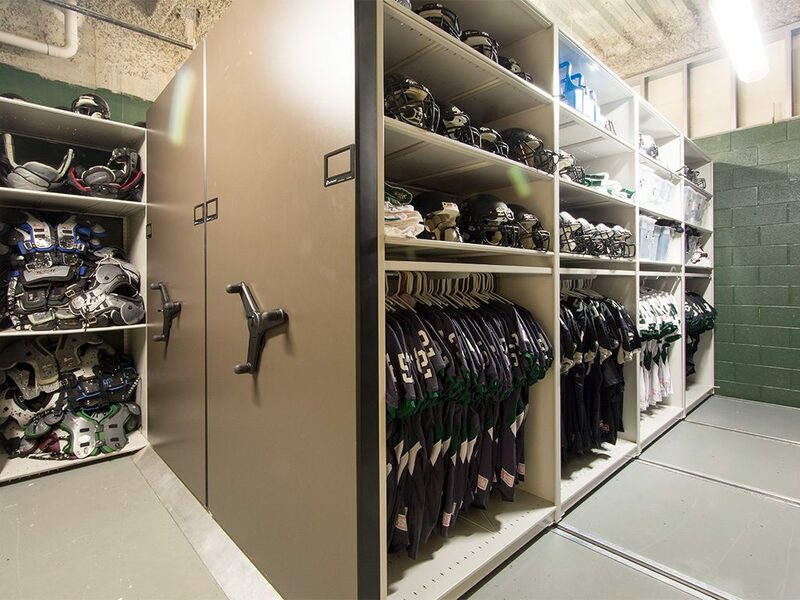 Locker cubbies can make a real difference when students have to store athletic equipment or the clothes needed for gym class. 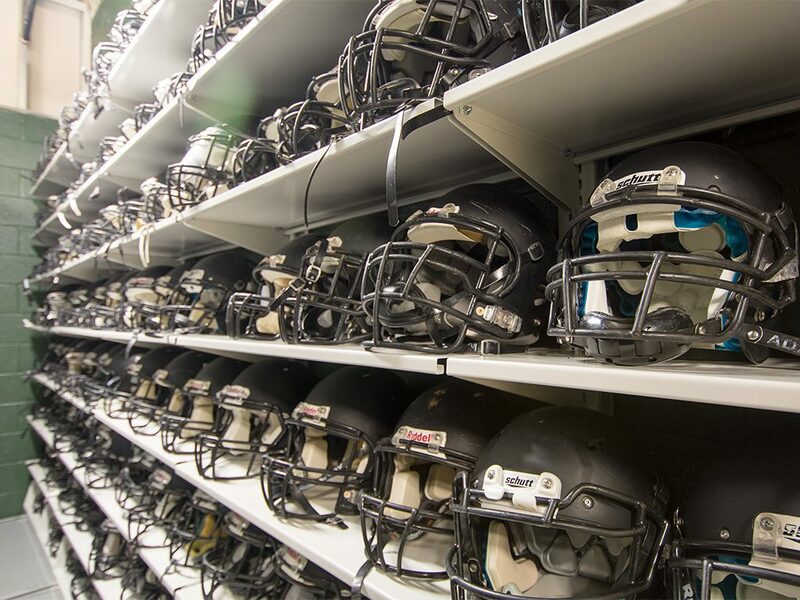 Of course, the coaches themselves probably wouldn’t mind going all out and planning effective athletic equipment storage. 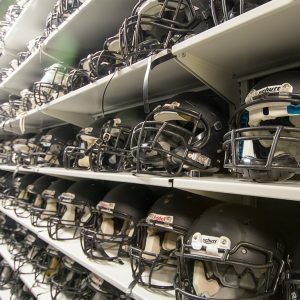 Five football teams from a Georgia high school in Cobb County stored all of their high school football equipment in one 350 square foot space, and all five different squads saw benefits. 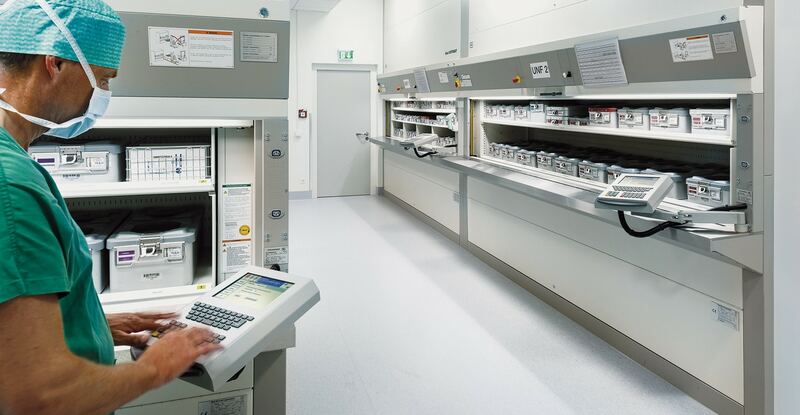 In rooms within the school actually dedicated to storage, schools might take advantage of high-density mobile shelving or vertical carousels. These options allow you to store even more in 50% of the floor space. 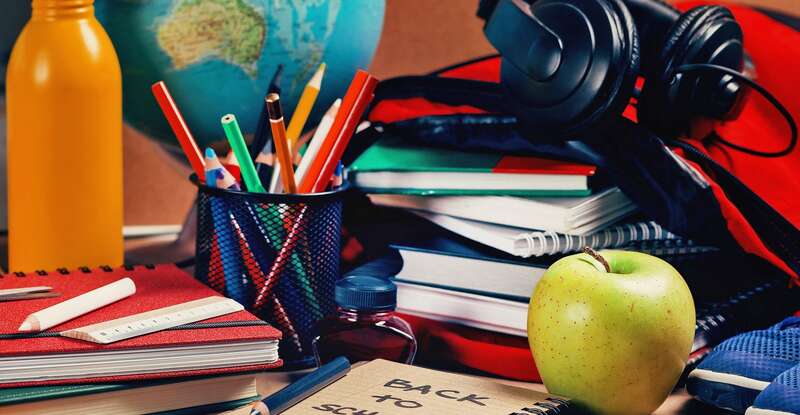 Today’s classroom storage offerings also take into consideration the mess of backpacks, lunch bags, coats and shoes teachers may be dealing with in their classrooms. Carts can be useful for storing these items. 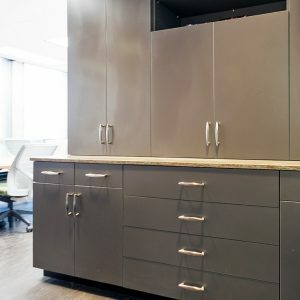 But recessed cabinets and storage desks can make an even more aesthetically pleasing dent in the collection of school day detritus. 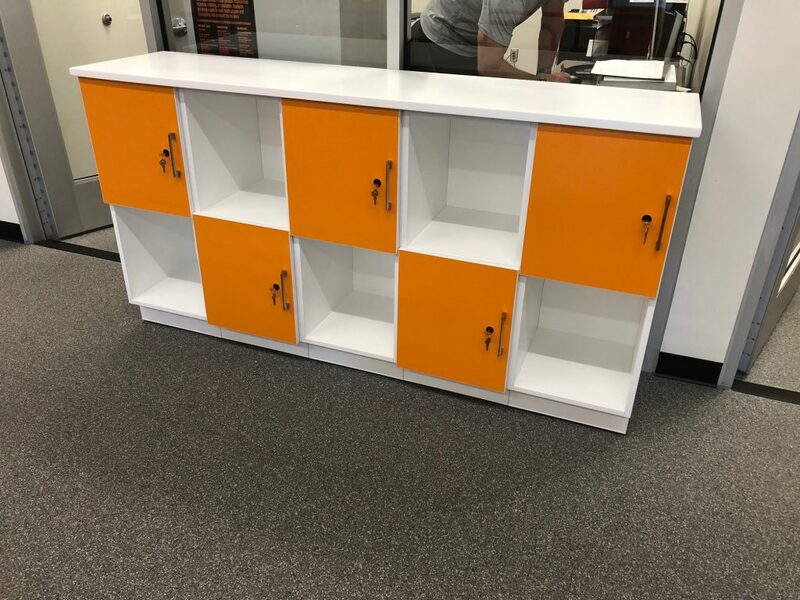 Oh, and since students are tech-savvy (whether they’re officially allowed to have their mobile devices out at school or not), it can be useful to incorporate some cubbie charging stations with convenient storage for laptop and tablet charging. 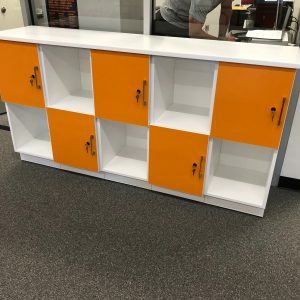 Available in different sizes and configurations and a range of material finishes (including wooden laminate or powder coated steel), modular casework can quickly organize a classroom. 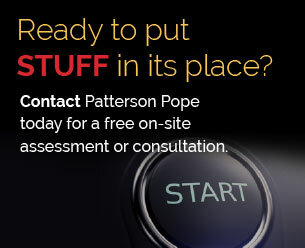 Working with the right storage planners, you’ll probably even find solutions to problems you didn’t know you had! With the Marie Kondo phenomenon leading North American Netflix viewers to donate or trash anything that doesn’t “spark joy,” teachers could probably do some culling of their classroom supplies and other things they’re holding on to. Yet, when would they even have time? 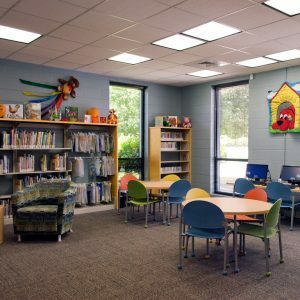 Providing them with the right tools to quickly organize and store materials, and make it easier to access often needed items, could boost teacher morale while creating a space that invites greater learning. That’s the “joy” of the perfect school storage solution.